Choom Holdings Inc (CSE: CHOO) at its core is focused upon being a lifestyle brand. This fact alone sets it apart from many competitors in the industry, whom are centered around being a medical supplier. Instead, Choom has been curated to focus upon selling an experience, rather than that of just a simple product. This experience that Choom Holdings has curated begins with the company’s name itself. This name is derived from “The Choom Gang”, a group of friends in 1970’s Hawaii who frequently smoked together – the likes of which include former US president Barack Obama. From this name, their mantra is to bring the spirit of Hawaii to the mainland which will be evident in the branding exemplified by Choom. Largely, the company is centered around being a recreational cannabis producer rather than focusing on the medical market. This company has outright stated this, and the steps it has taken indicate this clearly as well. 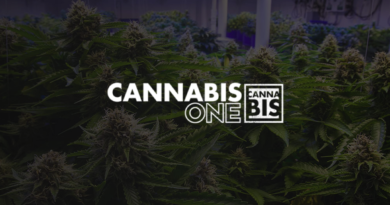 Join us, as we dive in to one of the first companies that is solely focused on the recreational market in Canada. As it stands, Choom Holdings currently has one wholly owned facility, with a potential second facility that is under negotiation. Based on the sizing of these facilities its clear that Choom aims to be more of a craft cannabis operation, than that of a mass producer of product. Assuming the acquisition of the second facility occurs along with all planned future expansions, at full bore the company will be producing a meager 2,400 KG of cannabis on an annual basis. Compared to the majority of cannabis companies we’ve studied, this is a tiny figure. Thats not to say however that operations will not be profitable. In all, the company expects to sell it’s product at a rate of $10 per gram. It feels that such a price can be commanded as a result of the premium product it will be producing, along with the lifestyle associated with its brand. In all this will result in a maximum of roughly $24 million in yearly revenues. A small figure certainly relative to some of its peers, but its still a substantial amount of funds. Lets take a closer look at the individual facilities. Currently the only wholly-owned operation by Choom Holdings, the Vernon, BC facility is controlled through its Medi-Can Health Solutions subsidiary. The facility currently consists of a roughly 12,000 square foot building, of which 6,800 sq ft is committed to growing the product. As it stands, the facility is currently in the second stage of the licensing process which consists of the detailed review and security clearances. It initially applied to become a producer in 2013. The exact date of the application is a bit unclear, as a result of two different statements by the company in their CSE listing documentation. 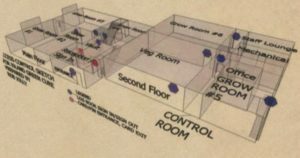 The floor plan of Choom Holding’s Vernon, BC facility. In its current format, the facility is capable of producing roughly 660 KG of product on an annual basis. Fully expanded, which is expected to occur by July 2018, the facility will be producing roughly 1,500 KG of product each year. Note that improvements are still required at the facility before any cannabis production can occur. Choom recently accelerated this work in an attempt to speed up the go-to-market time frame. As per the company’s listing statement filed on November 21, Choom expects the company to obtain a license to produce within the next 3 – 12 months. Based on the date of this analysis, that gives an anticipated time frame of roughly 1 – 10 months for this to occur. If you think there is little to Choom’s Vernon, BC facility, wait until you look at their potential Vancouver Island facility. 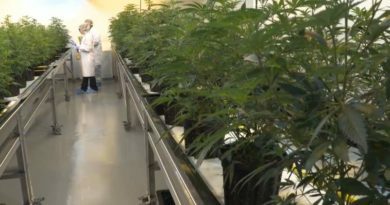 In its current format, the facility is capable of producing roughly 450 KG of product annually, should it acquire its license to cultivate cannabis. Currently, the target is in the confirmation of readiness stage and is currently carrying out tenant improvements as per the news release dated January 18, 2018. 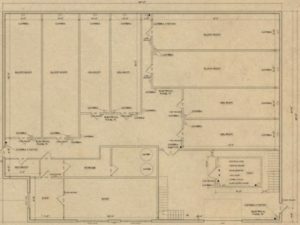 The layout of Choom’s potential Vancouver Island facility. In terms of the facility itself, the company has disclosed seemingly as little as possible, likely due to its small stature. The production capacity was snagged from their current investor deck, which is the only place that indicates details on the facility from what we could find. In terms of square footage, it sits at just 4,500 square feet. However, there is currently an expansion underway that will double its square footage to 9,000, and its production capacity to 900 KG annually. In exchange for the acquisition of the facility, the company intends to issue 8,000,000 shares of the company which will be subject to escrow terms. Additionally, $2,000,000 is to be issued to the previous shareholders of the entity upon the receipt of a cannabis sales license. Currently, the company has a letter of intent to acquire the facility. While the company is quite tight-lipped on its late stage production facilities, it is very open on its current and future branding strategy. In this regard, it takes as much influence from its namesake as possible. To this end, it includes not only the lifestyle attached to the brand but the small items as well – such as the naming of its products. It’s no secret that Barack Obama is the reason for the public awareness of The Choom Gang. This has resulted in the term becoming a pop culture reference, with many details emerging from this period of Hawaiian time. Items such as the vehicles the gang utilized – the classic Volkswagen bus – to the favourite strains smoked by the crew have all been leaked to the media as time has gone on. For instance, there was this tidbit released in a biography of Barack Obama, written by David Maraniss. Excerpt from a highlights reel of David Maraniss’ biography on Barack Obama, published by The Week. Seeing this list of popular strains during this period of time, it was no surprise when we viewed Choom’s investor deck and found some renderings of their proposed packaging. It’s likely we can guess the name of a fourth variant of product that it’ll one day produce as well. 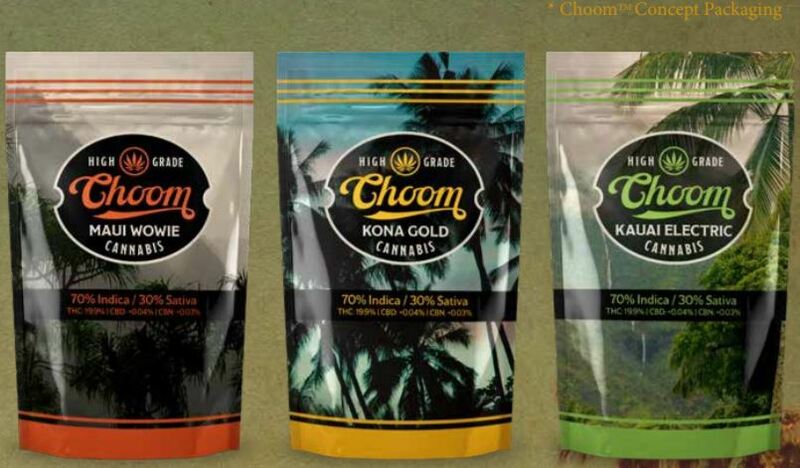 Choom Holdings’ proposed product packaging, note the naming of its strains. In all, Choom offers premium packaging for a premium product. It has stated countless times that its product will only be hand crafted, so as to provide a higher quality than that of its mass produced counterparts. This is also part of the reason for its intentionally small production facilities. Essentially, it is looking to establish itself in a niche of the industry. The last item we wanted to touch on with regards to Choom’s branding strategy, is its recently released retail platform. The company intends to operate its own retail storefronts in jurisdictions across Canada where this is legal – which right now consists largely of Western Canada. For this, they have brought in Hodgson Design Associates, a firm experienced in creating some of the most recognizable store fronts in Canada. Essentially, the renderings that the company has provided displays a slightly hybrid store front. Think of it as an Apple store combined with that of a board shop. Basically, it combines several Hawaiian-esque touches with that of a simplistic design to present products in a seamless manner. The result is a very laid-back storefront that presents a youthful vibe. 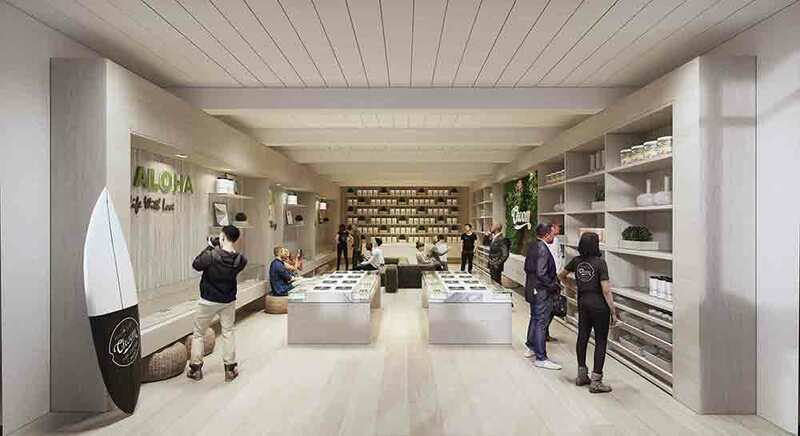 A rendering of Choom’s proposed retail platform. Image sourced via the company’s website. At the present time, there is little that can be said about the companies financials. The company in its current format has only been active since November 17, when the acquisition of Medi-Can Health products by Standard Graphite Corp was completed. The company changed its name to Choom Holdings as a result of this transaction. With the latest financials being as of September 30, 2017 this inherently means that we have no data on the assets or debt associated with Choom Holdings. What we do know in regards to Choom Holdings however, is its share structure. Even here though, the numbers we conclude with based on company filings are short when compared to the companies investor presentation. And not by small figures either – by exactly 5,000,000 warrants, in addition to 120,000 options. The date of the presentation indicates it is as of January 16, 2018, and therefore it should not include the dilution from the raise announced on January 25. The estimated share structure of Choom Holdings as of February 4, 2018. Please note that the estimated figures presented above does not include the currently active private placement. This placement consists of 5,000,000 units priced at $0.50 each, with a whole warrant at $0.75. We did not include it as a result of current market conditions and the uncertainty on whether or not it will close. 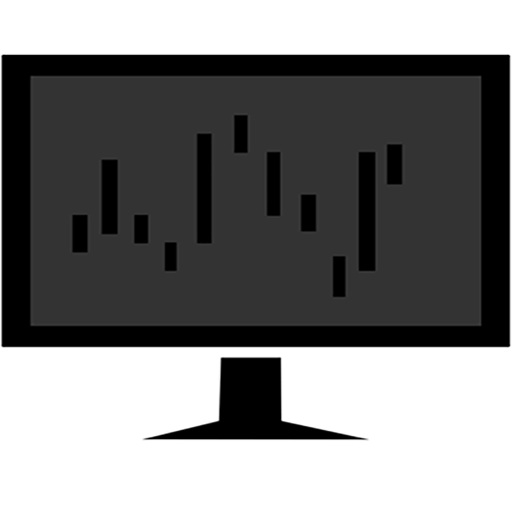 On the date of the announcement the stock closed at $0.89, and has since tumbled to $0.69 as a result of a sector wide pullback. Currently, it is estimated that 90,770,308 shares of Choom Holdings are outstanding. Based on the closing price of $0.69 on February 2, this gives the company a market valuation of $62.6 million. On a fully diluted basis, the estimated market valuation climbs to $69.9 million. Also note that 750,000 outstanding options expire within roughly the next month, which may provide some marginal selling pressure. In terms of the current insider positions of Choom Holdings, the figures are dismal at best relative to the typical figures posted by cannabis companies. The only bright side to this, is that CEO and President Chris Bogart has been purchasing additional securities as of late. 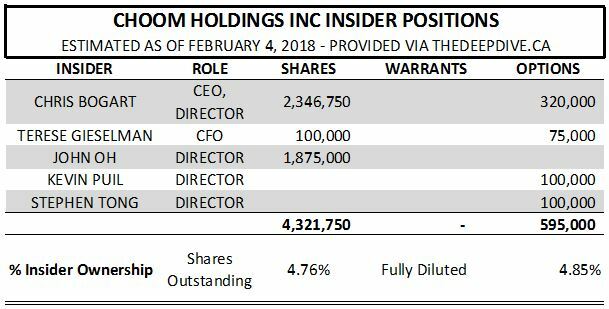 Choom Holdings’ estimated insider positions as of February 4, 2018. As it stands, it is estimated that insiders own roughly 4.85% of the company on a fully diluted basis. This is much lower than what we would like to typically see, especially on a stock that is sub $1.00. Based on the most recent closing price of $0.69, insider positions are worth roughly $3.4 million. It should also be noted that David Bogart, an assumed relative of Chris Bogart, currently is believed to own 1,250,000 shares of the company as well as a result of providing consulting services to the company. Easily the most notable member of management, Chris Bogart plays a role in two public cannabis companies. The first, clearly, is that of Choom Holdings for which he serves as CEO, President, and Director of the company. Formerly known as Standard Graphite, Chris has been a part of the firm for roughly twelve years. The second entity is one in which he co-founded, known as InMed Pharmaceuticals. He currently serves as the Senior VP of Corporate Strategy and Investor Relations at the firm. In terms of his experience, Chris has been involved in management for a number of years. His experience primarily lies in that of strategic planning and business development, which is crucial for his current role at Choom. By all accounts, it appears that Ms Terese Gieselman is the classic small cap chief financial officer. What we mean by this, is she is currently listed as the CFO at several public companies, making it unclear how large her role actually is at Choom Holdings. In terms of related companies, she has served for others in the cannabis industry including Laguna Blends, now known as Isodiol International, as well as InMed Pharmaceuticals, the firm Chris Bogart was a founding member of. Primarily she appears to provide her financial services to small cap companies in the resource sector. John Oh, by nature of his name, was extremely difficult to find any mention of. What we do know, is that he is a young entrepreneur located in Vernon BC, where he owns an internet cafe with fellow Medi-Can co-founder Josh Brazier. In addition to this, he currently has a lead role in the Shopify support team, which he has held for roughly two years. He currently serves as a director for Choom Holdings and remains to be the only co-founder of Medi-Can in a lead role with Choom Holdings. Kevin Puil is the capital markets expert at Choom Holdings. Currently, he’s a managing partner at RIVI Capital, which is a private equity firm focused on the resource sector. Like many members of the current management team, he also has spent time at InMed Pharmaceuticals in a director role. Due to his history of working almost exclusively with resource based companies, it’s uncertain if his tenure will continue for very long at Choom Holdings. The last member of the Choom management team is that of Stephen Tong, a practicing lawyer. Largely, Stephen’s experience is in the field of financing. In particular, he has focused on private placements, reverse takeovers, IPO’s, and corporate restructuring. Stephen has been on the board for the company since February 2016. In terms of a valuation for Choom Holdings, this one is more speculative than some of our previous company focuses. Unlike our previously analyzed companies, Choom Holdings currently has no revenues, making it difficult to determine a short term valuation for the company. In this instance, should valid financials be available for the company, we would base it off of current assets versus that of its liabilities. However, this is not presently an option. Thus, without sufficient information it is likely that investors are currently entering positions for the company based on a long term valuation. Alternatively they could be buying blind, but we like to give investors the benefit of the doubt. In terms of a long term valuation for the company, based on the current expansion plans the company will be producing a maximum of 2,400 KG of product on a yearly basis. With the intended sell price of $10 per gram, it makes for some easy math for future projected revenues. This gives us roughly $24,000,000 in annual income for the company based on the information provided. With such a small revenue figure relative to its peers, the company will be required to focus heavily on low cost per gram production so as to support healthy profits. However, there is also an arbitrary value that can be attributed to the company based on the value of the brand itself. With Choom Holdings focusing so heavily on selling not just a brand but a lifestyle, the value of this to investors can vary wildly. This in turn adds difficulty to calculated a sufficient valuation for Choom. Choom Holdings is a company that essentially intends to become one of the first craft producers in the country. Although they do not state this anywhere, as much is evident based on their anticipated production figures as well as their expansion plans. The company has made it clear to investors that they do not intend to have massive production facilities, but rather focus on simply creating small batch, quality cannabis that has been handcrafted. They’re more interested in creating a lifestyle rather than that of a fortune. For investors, this can be either good or bad depending on your intentions. If you’re after a company that is focused on its premium product and how it is represented within the community, this one may be for you. If you’re more interested in a low cost producer with large margins on each sale that produces mass amounts of product, you’re better off looking elsewhere. Much like Choom Holdings is focused on a specific clientele that fits their niche, you need to do the same with your investment portfolio. Find companies that fit your requirements as an investor. Dive Deep. Information for this analysis was found via The CSE, SEDAR, SEDI, Canadian Insider, LinkedIn, Bloomberg, The Week, InMed Pharmaceuticals, and Choom Holdings Ltd. The author has no securities or affiliations related to this organization. Not a recommendation to buy or sell. Always do additional research and consult a professional before purchasing a security.